Stung by the Medical Council of India (MCI)’s feet dragging over the MBBS seats cancellation-restoration issue, the union health ministry has urged the statutory body to urgently take a call on compliance reports filed by educational institutions all over the country. 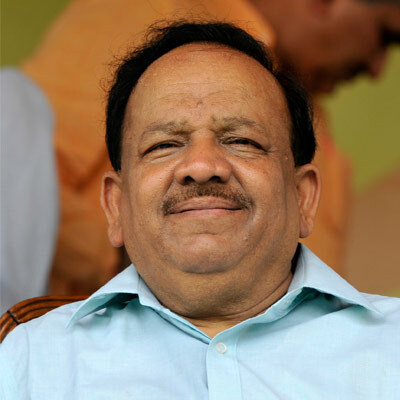 Union health minister Dr Harsh Vardhan said here on Wednesday that about 10,000 meritorious students face a bleak future because of the MCI’s obsession with minor details. “Most of the deficiencies in the MCI’s reports are about problems with air-conditioning, or about partition walls in buildings and, of course, the shortage of faculty which is an old irritant. But even though most of the colleges have complied with the MCI’s demands, there has been no acknowledgement. This cannot be expected of MCI,” Dr Harsh Vardhan said. The minister said senior officials of the ministry, including health secretary Lov Verma, and joint secretary Vishwas Mehta have been forwarding the recommendations of the hearing committee and compliance reports submitted by the various medical colleges. But MCI’s response is awaited, causing anxiety in all quarters, he added. “The ministry has sent 150 cases, most of them government colleges, for review to MCI but there has been no response. I respect MCI’s autonomy but expect that it appreciates the agony of thousands of meritorious boys and girls whose future is jeopardised by procrastination,” Dr Harsh Vardhan said. The minister disclosed that he has received numerous delegations of students, doctors, institution managements, members of parliament and other stakeholders complaining of MCI’s attitude. “Reports are flooding the ministry of medical colleges, including reputed government-owned ones, cutting their intake of undergraduates for the current academic year. This is worrying for the government because the long-term effect would be a deeper crisis in the availability of qualified doctors. As it happens, India has just one doctor per 1,700 people compared to the global average of 1.5 per 1,000. The government has a policy of meeting the shortfall by opening more medical colleges over the next decade,” according to a statement by the union health ministry. “MCI had undertaken to send its recommendations to the health ministry for issuance of letters of permission by June 15, 2014 as per a revised schedule made in May. In follow up, the government’s deadline for issuing letters of permission or denial was set for July 15, 2014. But with MCI reneging on its undertaking, the government is dismayed that it would not be in a position to mitigate the suffering of the students,” the statement said. In a letter to MCI president Dr Jayshreeben Mehta, health secretary Lov Verma has suggested that MCI should file an interlocutory application before the Supreme Court in the Priya Gupta case. The objective should be to get an extension to August 8, 2014 so that the passing of the present deadline does not have a destructive impact, the statement added. Holding Medical Council of India (MCI) responsible for the deterioration in standard of medical colleges, Union Health Minister Harsh Vardhan today said senior doctors should promote values which formed part of medical community in earlier generations. “They (MCI) have not fulfilled their task,” the Minister said as he referred to the general perception that the quality of medical colleges were not up to old standards. “It was therefore up to senior doctors to continuously promote the values which formed part of the medical community in earlier generations,” he said during his visit to Safdarjung Hospital. “All doctors should consider themselves privileged to be able to serve their families as well as society. The greatest challenge for a doctor is to be a good human being,” Vardhan said. The Health Minister who visited the RML Hospital and AIIMS over the past two days asked the medical community to begin a process of introspection without which they cannot hope to conquer disease. “We conquered polio by tapping the best in people, and I am sure we can do it in the case of meeting all the Millennium Development Goals before the target date,” he said. The Minister also asked doctors to promote rational use of essential drugs. “Young doctors should be trained in this principle which has been recommended by WHO. Patients should be administered drugs appropriate to their clinical needs in doses that meet their requirements. However, the present culture seems to be to write out medicines without thought to their justifiability,” he said. He instructed the Medical Superintendent of Safdarjung hospital to initiate the process of training of junior doctors about rational use of drugs as soon as they join hospitals. The Nagpur bench of Bombay High Court has directed the Medical Council of India (MCI) to review the curriculum of forensic medicine in the MBBS course and find out if any revision of the curriculum is needed. Peeved by the “inadequate and irrational” curriculum of forensic medicine in the MBBS course, a Sevagram-based doctor Indrajit Khandekar had approached the judiciary seeking its immediate revamp. Dr Khandekar, who is in-charge of Clinical Forensic Medicine Unit (CFMU) and associate professor at Mahatma Gandhi Institute of Medical Sciences (MGIMS) in Sevagram (Wardha), had challenged the existing syllabus before the Nagpur bench of Bombay High Court on the ground that it has no provision for bedside practical teaching of clinical forensic work and forensic postmortem (FPM) work like other clinical subjects. The plea was based on a 464-page study report of the petitioner. In an order issued on March 13, a division bench comprising Justice B P Dharmadhikari and Justice P R Bora directed the MCI that they shall look into the suggestions given in representation made by the petitioner for revamping the curriculum of forensic medicine in accordance with law and to proceed further and find out whether any revision of the curriculum is necessary or not. The petitioner’s counsel Anil Kilor had contended that because of lack of bedside practical teaching of medico-legal aspects half-baked and inadequately trained MBBS doctors are being produced in the country. “Government expects all types of medico-legal work (MLW) from such doctors when they join as Casualty Medical officer (CMO) or Medical Officer after completion of MBBS degree. A quality medico-legal work cannot be expected from such pseudo-experts. That’s why at present quality of medico-legal work in the country is very poor and abysmal which helps in acquittal of accused in majority of cases and also leads to miscarriage of justice,” the counsel argued. According to the petitioner, there are instances where judiciary has passed strictures against doctors and even government has taken serious actions against doctors for poor quality of medico-legal work. “But, unfortunately all concerned agencies including government never tried to correct the actual reason — i.e., only theoretical teaching of forensic medicine and lack of bedside practical teaching — behind this. Till the curriculum is amended and properly implemented no one should expect good quality of medico-legal work from the doctors,” said Dr Khandekar. Kilor further pointed out shortcomings in medico-legal examination in assault cases, recording of dying declaration, sexual violence exam, injury report preparation, age estimation, alcoholic and weapon exams, burn and dowry cases including postmortem exam etc. 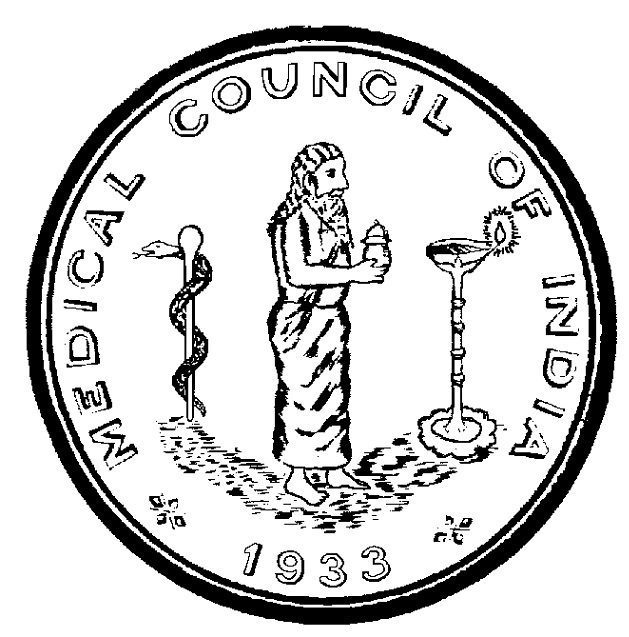 According to Dr Khandekar, the key reasons for the poor quality of medico-legal work are production of half-baked and untrained doctors by the MCI; allowing such untrained doctors by the government to do medico-legal work; and private medical colleges not allowed to do postmortem exam. 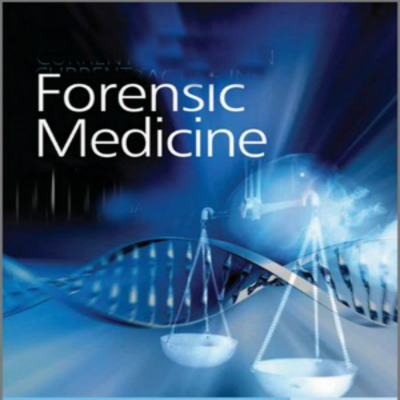 Dr Khandekar suggested that functional forensic autopsy and clinical forensic medicine units (CFMU) should be set up in every private and govt medical college; clinical forensic and forensic autopsy posting schedule should be provisioned in the syllabus itself for bedside practical teaching like other 15 clinical specialties and all medico-legal work of casualty, trauma centre and hospital should be handed over to the department of forensic medicine under CFMU. 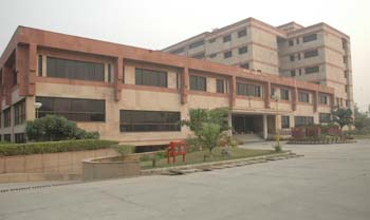 He further suggested compulsory internship in CFMU and autopsy units for a period of one month; optimum teacher student ratio for bedside practical teaching; provision for court visits for MBBS students in batches; and teaching of the subject should be taken up in the later part of the clinical years. Medical colleges in the state are facing heat from the Medical Council of India regarding increase of PG medical seats. Several medical colleges that had secured additional seats last year have failed to upgrade infrastructure facilities and appoint the required faculty in accordance with the seat hike. The MCI, which has started inspections of the colleges to grant approvals for this year, is upset with the poor facilities in the colleges and the inspectors are recommending taking away the increased seats. Recently, MCI recommended cutting down PG medical seats in Andhra Medical College, Vizag. Finding deficiencies with regard to infrastructure facilities and faculty in the college, the inspection team has recommended slashing five seats each in MD (Paediatrics) and Ms (ENT), which were increased last year. Similarly, other old medical colleges such as Osmania, Gandhi etc. too face the risk of losing seats that were increased last year. MCI teams have already inspected Osmania Medical College twice and are apparently dissatisfied with the inadequate infrastructure. The MCI had given “conditional approval” for increase in intake last year after taking an undertaking from the state government that it would upgrade the facilities within a year. However, the state government failed to do so due to a delay in release of funds. 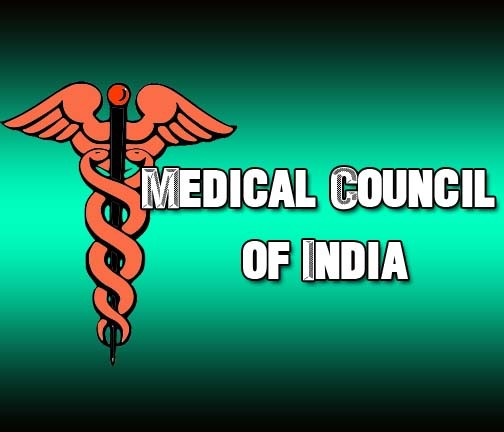 Meanwhile, the MCI is set to begin inspections to grant approvals for MBBS seats for this year and it is being feared that the deficiencies in infrastructure and faculty might affect the MBBS seats too as it has happened for PG. Delhi Medical Council has signed an agreement with BMJ to provide an online CME programme, based on learning needs of healthcare professionals independent of pharmaceutical industry for better patient care. With this announcement, a three-month BMJ Learning platform will be available for DMC members at learning.bmj.com/dmc. The partnership is for two years and both parties will jointly contribute towards the clinical as well as academic needs of the DMC doctors to provide a continuous learning and upgradation of knowledge for the DMC members. The BMJ Learning online CME (continuous medical education) modules are accredited by DMC for one credit hour/CME point and doctors completing the online modules will be awarded with a joint completion certificate, according to a statement issued on Tuesday. DMC has also launched online registration services for its members and has decided to waive off the late fees charges, due on renewal of registration, till March 31. The duration of the MBBS course could be shortened by one year with the Medical Council of India (MCI) thinking about introducing specialist skills for undergraduates earlier than what is the practice at present. Official sources said that the MCI academic council is likely to meet next week to finalise the new curriculum and send it to the government for approval. The MBBS course presently stretches for five-and-a-half years four-and-a-half years of academic studies and one year of internship. Sources said that the curriculum is seen as devoting too much time to general medical studies and the various aspects of the human anatomy, which may not be of much use to students who opt for specialisation in later years. The new curriculum, which they said would take away nothing while giving more freedom to students, envisages adequate skill training at the initial level while introducing students to clinical and analytical courses. “The idea is to let students study in detail the subject of their choice and develop expertise in that topic instead of studying all subjects in detail. It will save a lot of time and sharpen their skills,” they said. Experts believe that students should be allowed to carry on studying their subject of specialisation once they become conversant with the human anatomy. They were also of the view that the present curriculum did not provide sufficient skills in the early years, which they said was crucial at a time of growing specialization and super -specialization. The National Human Rights Commission on Wednesday asked the Medical Council of India and Union Ministry of Health and Family Welfare to explore the possibility of introducing a new post-graduate level course in ‘Gerontology’ in medical colleges. The directions were issued keeping in view the problems in old age and the need for providing dedicated facilities to senior citizens as required under Section 20 of the Maintenance and Welfare of Parents and Senior Citizens Act, 2007, according to an NHRC statement released today. The Commission observed that with the passage of time, the percentage of aged persons in the country is likely to go up considerably and to deal with their problems, it is necessary that the healthcare system in the country should be well equipped. Accordingly, the Commission in its notice to the Secretaries, Medical Council of India and the Union Ministry of Health and Family Welfare has sought their response within eight weeks. The National Human Rights Commission (NHRC) on Wednesday asked the Medical Council of India (MCI) and the Union Ministry of Health and Family Welfare to explore the possibility of introducing a new postgraduate level course in ‘Gerontology’ in medical colleges. This is in keeping in view the problems in old age and the requirement for providing dedicated facilities to senior citizens as required under Section 20 of the Maintenance and Welfare of Parents and Senior Citizens Act, 2007, the NHRC said in a statement. The NHRC also observed that with the passage of time, the percentage of aged persons in the country is liable to go up considerably. “To deal with their problems, it is necessary that the healthcare system in the country should be well equipped,” it said. The Commission in its notice to the Secretaries, Medical Council of India and the Union Ministry of Health and Family Welfare sought their response within eight weeks.